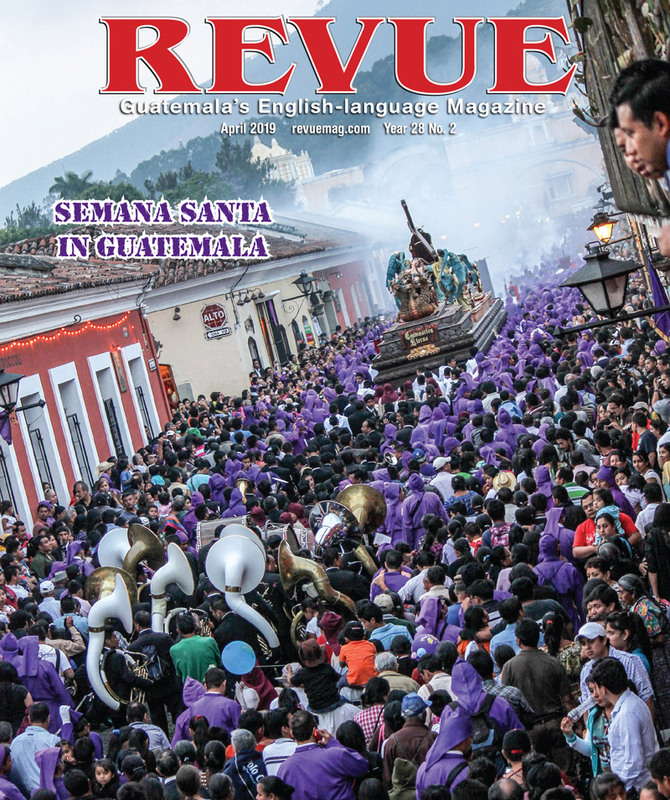 CLICK HERE TO READ the September issue of Revue. After 26 years we continue to carry out our original mission statement of promoting the best of Guatemala. We are still publishing informative and entertaining articles by professional writers, sharing spectacular photography, profiling local artists and updating our cultural calendar daily. And now, through the magic of the interactive magazine format, our advertisers have the ability to be contacted directly by our readers with a click of a button. 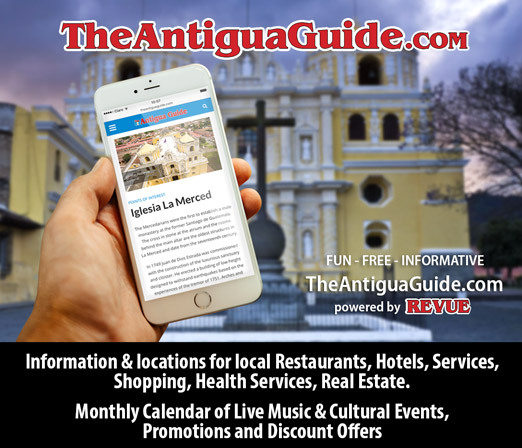 As you flip through these pages you can check out any links that may interest you, websites, facebook pages, videos, restaurant menus, a map of Antigua, 3D virtual tours, and other useful info. September 15 is Guatemalan Independence Day and there are celebrations all month long. In this issue of Revue we pay tribute in various forms. 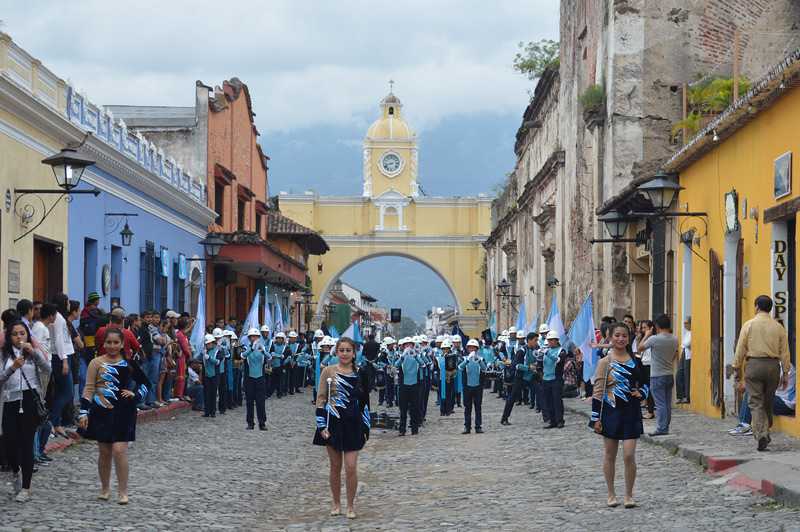 Hadazul Cruz takes us on parade with The Tradition of Marching Bands in La Antigua Guatemala. The Revue Photo Contest theme this month is The Flag of Guatemala. Ken Veronda discusses Symbols, Fotokids founder Nancy McGirr talks about the organization’s 28 years and shares some of the kids’ incredible photography. There is some cool drone footage of a previous year’s Independence celebration. Autumn Jones has written an inspiring story of perserverance, Building a Better Life Brick by Brick. Our fabulous Chef Amalia talks about Gluten-Free Cuisine and shares her recipe for Guatemalan Enchiladas. There is even a short history of the Flag(s) of Guatemala. And, as always, the DateBook Cultural Calendar is just a click away. Thank you for reading and for following us into the green digital zone.